Grind all the ingredients without adding water in a mixer-grinder except beaten egg, bread crumbs and oil. Roll them into lemon sized balls. Heat oil in a pan , shallow fry the mutton balls till golden brown, after dipping them in egg mixture and rolling them in bread crumbs. 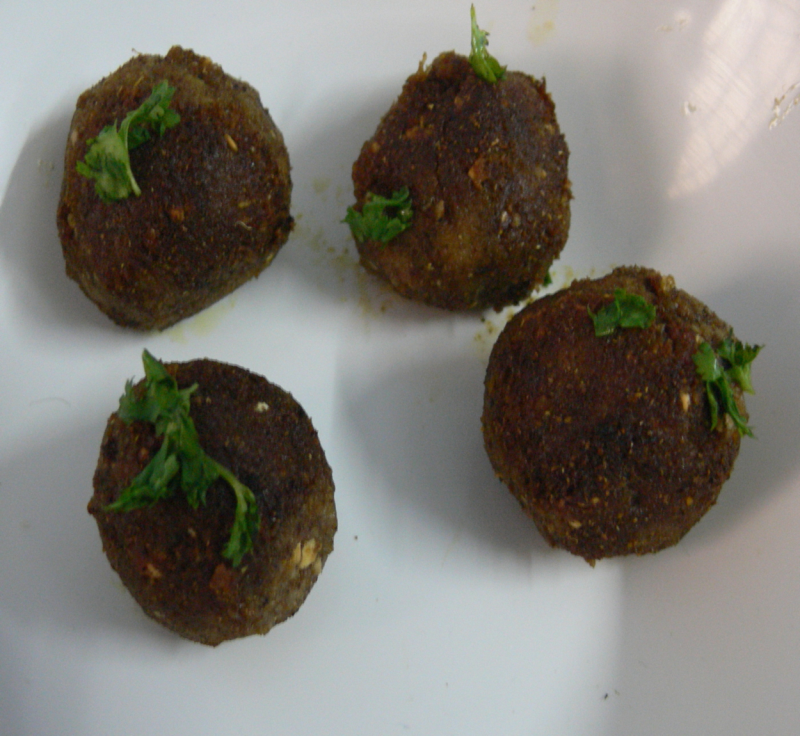 Serve this mutton balls with tomato ketchup or with rice.